In the early 19th Century there were a growing number of people, mostly from the upper classes, who looked to the hills and mountains for sport and pleasure. Mountaineering was born as a sport that was pursued in its own right, rather than as a necessary aside to scientific or geographical study. The country foremost in this development was Britain, its early pioneers making bold and epic ascents in the Alps and other areas on the continent. This “Alpinism” soon spilled over to the hills and crags in the UK and rock climbing is generally held to have started in the Lake District in the 1800s. This was soon followed by the formation of the early clubs. The Alpine Club, the world’s first mountaineering club, was formed in 1857, and being the largest and most notable of these early organisations gradually began to assume the role of National Representative Body. But it could never function effectively as such, since its membership was restricted to those respected gentleman with a good Alpine background. In the 1920s and 1930s, the first mountaineering expeditions set off to the Himalaya, the Caucasus and other areas, with the forays of pioneers such as Tilman, Shipton and Mallory. The period between the wars marked a large increase in people taking to the hills, as access to the countryside became easier and family holidays became possible for more and more people. Although the number of clubs grew accordingly, there was also an increase in the numbers of people pursuing outdoor leisure who knew nothing of the traditions of the sport, safe techniques or the network of clubs and opportunities. There was a growing need for easily available information, opportunity and training. The need for some kind of mountain rescue service was also recognised, and a First Aid Committee was set up in 1934, later to become the Mountain Rescue Committee in 1946. Geoffrey Winthrop Young, one of the old-school gentleman mountaineers, motivated by the desire for a truly representative national body, was instrumental in setting up the first umbrella organisation for UK climbing clubs: The Standing Advisory Committee on Mountaineering (SACOM) in 1943. This Committee was to establish the criteria to set up the BMC shortly after. · Protection of climbing areas; climbers to be consulted in any “new planning” for the countryside. · Provision of accommodation, huts, hostels etc. in these areas, and raising funds towards this end. · Collection of climbing information from "here and abroad" and to investigate scientifically the value of new equipment and how to procure it. · Provision of instructors by clubs to assist with training, and to put interested individuals and associations seeking help in touch with their nearest club. · To assist the Mountain Rescue Committee. · To establish a system of regional committees. · To collate and circulate relevant news and information in the form of a journal, the first one published in June 1947 called "Mountaineering". The first handbook to British climbing "Climbing in Britain", written by the first Hon Secretary (J Barford), was one of the first works of the Council and sold 120,000 copies. Alan Blackshaw’s "Mountaineering” was published in 1965, the official successor to Barford’s work, to meet the demands of an ever-growing climbing public. By 1972 the sport was growing exponentially and it was decided that the BMC apply for funding from the recently created Sports Council, in order to appoint the first professional "National Officer" for climbing and mountaineering. In the same year, a serious accident in the Cairngorms left five children and a student teacher dead, resulting in major confrontation between the BMC and existing Mountain Educational Authorities. From this point onwards, the BMC and Mountain Leader Training Board formed a close working relationship, which continues to this day. 1972 also saw further development of existing insurance schemes, the inception of an expedition fund (which helped toward Bonington’s Everest SW Face expedition in 1975), the publication of two volumes of new climbs and the first steps toward publishing the definitive guidebook series to the Peak District. "To work... for the protection and extension of mountaineering, climbing and walking areas, and for the preservation and enhancement of the beauty of country of interest to mountaineers in combination with bodies with similar objectives, and with Area Committees assisting and advising the latter." 1973 was also the year of the first foray into film - John Cleare shot a set of highly successful educational filmstrips on mountain walking in summer and winter. In 1974, the BMC moved to Manchester under Dennis Gray as General Secretary and Peter Boardman as National Officer. The formation of a full blown Technical Committee came about in 1975, tasked with directing research and working on equipment standards as well as investigating failures via The Equipment Failures Sub-Committee (in existence since the birth of the organisation). Throughout the 1970s Area Committees were gradually forming and gaining popularity. In 1980 the BMC joined with several other bodies and successfully opposed extraction plans made by the Water Boards and British Nuclear Fuels, from Ennerdale and Wastwater. Other notable events that year were the first ever meeting of the newly reorganised MLTB and the staging of the first BMC Alpine training courses. In 1982 the climbing world was shocked by the deaths of Peter Boardman and Joe Tasker on Everest and Alex MacIntyre on Annapurna (Alex had been National Officer from 1978). The new style Mountain Instructors certificate was introduced, and the UIAA held its 50th Anniversary celebrations as the World Representative body for Mountain Sports. By now the nine Area Committees were well established and the BMC had developed a small team of staff offering various insurance schemes, membership packages and cheap coach travel. Climbing as a sport was gaining hugely in popularity and training was beginning to be taken seriously; climbing walls appearing in ever increasingly diverse designs. Membership numbers had grown accordingly, and the Council then represented some 20,000 climbers. In 1983, great precedents were set in access work: Tameside metropolitan district council purchased Hobson Moor quarry to secure access for rock climbing and due to years of lobbying, an amended Occupiers Liability Act was passed into law. It was also the year that the UIAA and the BMC set up Future Policy working groups. The Climbing Wall Working Group submitted a paper to the Sports Council in 1985, which was published as a formal guide to the design and management of walls. With this initiative 15 walls sprang up in 1985 alone and so the BMC decided to set up a permanent Climbing Walls sub-committee. The first ever Youth meet was held at Stanage, and the Access Committee held its first National crag clean-up day. 1986 was a horrific year for world mountaineering with the tragic deaths of over 15 climbers on K2 including Alan Rouse and Julie Tullis. The BMC Future Policy Review was completed and was translated into the first Corporate Plan, which was subsequently approved by The Sports Council. Andy Fanshawe was appointed National Officer and negotiations were convened with the Sports Council to fund a full-time Access Officer, as threats to access became ever more widespread. This was successful and in 1987, Bill Wright was appointed the first BMC Access Officer. In the same year the first "Training for Rock Climbing" conference took place at Plas y Brenin and the first International Youth meet was held in the Peak District. The Hurricane that hit south east England caused terrific damage to the woods and sandstone outcrop at Harrisons Rocks and repair work was started with immediate and generous help from The Sports Council, under the supervision of the BMC's warden Terry Tullis. 1988 saw Chris Bonington take over presidency and the AGM was dominated by fierce controversy over competition climbing and its place in the sport. It ended with the Council being instructed to embrace the sport but only on artificial structures. This led to the formation of the Competitions Committee to oversee the developments under the chairmanship of Stephen Porteus. The Buxton Festival, The International Youth Meet and BMC courses in the Alps all produced near record attendance with the sports increasing popularity and it was the year "Safety on the Mountains” was published. In 1989 Derek Walker took over from Dennis Gray as General Secretary and Roger Payne took over from Andy Fanshawe as National Officer. The first UIAA World Cup competition was held in Leeds and was a tremendous success and the overall World Cup series was won by Britain’s Simon Nadin. The final International Youth meet was held at Plas y Brenin, which ironically turned out to be the most successful. Work was completed on the second corporate plan, which highlighted the need for more full-time professional staff: a second Access Officer and a Competitions / Climbing Walls Officer, both of which were later agreed by the Sports Council. In 1992 Andy Fawnshawe lost his life while climbing on Lochnagar’s Eagle Ridge. And the Kathmandu air crash claimed over 34 lives - four of whom were from Plas y Brenin. The Climbing World Cup final was held in Birmingham and was a great success, attended by over 6500 people. The Single Pitch Supervisors Award was introduced with over 2000 people registering for it within 18 months. This was the first vocational qualification in rock climbing to be created and it was quickly established as a widely recognised qualification. 1993 saw the appointment of: the new Development Officer, responsible for climbing walls, competitions and youth development; an Access Officer, responsible for the major access issues; and an Access Liaison Officer to be responsible for negotiating access and aiding the network of Access Rep's and Area Committees. A new office manager was also appointed. After much debate and discussion, the BMC became a limited company, in response for a more secure financial and organisational footing. 1994 was the 50th anniversary of the Council and celebrations took place throughout the year. New premises were found to re-house the increasing number of professional staff, again in Manchester. 50 years since its beginning, the BMC was a far cry now from its embryonic stages of no full-time staff and relatively untroubled access to the hills and crags; now there was a full-time staff of 15, membership had grown to over 30,000 and the number of special committees had grown to reflect new styles in the sport: Sport, competition and wall climbing. The BMC's influence had grown enormously, from "trying to procure equipment" to advising on its manufacture, and helping establish European standards for its production. The Range West access situation was momentously agreed, Southern Sandstone saw its first well attended climber impact management meeting and the "Good Practice" leaflet was published. Work was also carried forward on the Crag Database with a view to its commissioning over 1994/95, providing a very useful tool to help management of crags in the future. The Access questionnaire was produced and distributed, aiming to provide insight into access problems and how the BMC should represent its members regarding this ever growing threat. A number of new initiatives were launched, including two educational videos "Winter experience" and "Fall back", and the Stanage Topo and "On Peak Rock" guides were released early in the year. Work started on a new Information Service and the cataloguing of expedition reports and major magazine articles began. The Climbing Walls database came on-line and work was completed on a new Climbing Walls gazette, ready for publication in 1995. In 1996 the MLTB, UKMTB, and the BMC founded the Mountain Training Trust (MTT), which successfully negotiated with the Sports Council for the management contract for the national centre for mountain activities, Plas y Brenin. The BMC played a major role in setting up MTT and preparing the tender; the BMC’s President George Band became the first Chair of MTT. 1996 also saw the first ever edition of Summit magazine, which played a vital role in improving communication with members and has been going from strength to strength ever since. In 1997 the Youth Advisory Panel (YAP) was established and Area Youth volunteers were recruited to provide a channel of communication between young climbers, Area Committees and YAP. This year also saw the establishment of the Huts Co-ordination and Advisory Group, to co-ordinate the BMC’s support to huts and to offer guidance/advice when sought by clubs. A second Access & Conservation Officer was appointed in 1998… The first BRYCS competition was held, with over 200 young people competing, and the BMC’s Alpine lecture series began, alongside the already successful Winter series. In 2000, the Walking Group Leader award was launched. The Mountain Heritage Trust set up with the aim to preserve a record of British mountaineering history and heritage. Following the outbreak of Foot and Mouth Disease in 2001, the BMC took a major role in making the Government aware of the economic implications of a closed countryside for rural communities, leisure and tourism industry and education and training. Also in 2001, the Access and Conservation Trust was established, bringing together the McofS, MCI and BMC to raise money for and support the mountaineering councils’ access and conservation work in the UK and Ireland. In July, the National Mountaineering Exhibition was launched by the BMC at Rheged in Cumbria. At the end of the year Dave Turnbull took over from Roger Payne as CEO. In 2002 the BMC began a successful relationship with the organisers of a new annual outdoor consumer show. The Outdoors Show, held at Birmingham’s NEC, quickly became the biggest outdoor event of the annual calendar, with national and international climbing competitions run by the BMC one its main attractions. 2003 celebrated the 50th anniversary of first ascent of Everest, and also saw the first ever BMC EGM, which followed an eventful AGM earlier in the year. The EGM resolved the issue of subscriptions for 2004, which included an option for club members to upgrade to individual membership. 2003 also saw the launch of another Future Policy Review. The still-popular Climbing Outside booklet first appeared in 2004, alongside a safety and good practice poster campaign. The BMC’s Child Protection Policy was officially adopted, as was the new BMC logo! A new guidebook to Staffordshire Gritstone was published, the first in a new series of BMC guidebooks to the Peak District combining the traditional elements of definitive guides with new features made possible by modern printing techniques. Ownership of the National Mountaineering Exhibition was transferred to Westmorland Services. The Climbing Huts Information Project was launched in Snowdonia. 2005 marked the 50th anniversary of the national mountain centre, Plas y Brenin. The Countryside and Rights of Way Act came into effect across the whole of England. 865,000 hectares are now classed as 'open access, allowing access on foot to mountain, moor, heath, down & common land'. The BMC acquired the ownership of Horseshoe Quarry in the Peak District. The first in a series of lightweight, waterproof, tear-resistant maps was published under the British Mountain Maps brand, in conjunction with Harvey Maps. An accident reporting scheme for climbing walls was launched. Also of note, a new Volunteers’ Officer was appointed, the Bolts Working Group formed, Green Climbing Guides were published and Welsh language posters produced. The third Future Policy Review was completed. At the 2006 AGM members voted to adopt a ‘one person one vote’ system, thereby removing the block vote of affiliated clubs. Tthe Burbage, Millstone and Beyond Guidebook won the award of Mountain Exposition at the Banff Mountain Festival. The first ever BMC Alpine Meet was held, at Saas Grund in Switzerland, and the Know Your Stuff! technical and training conference was held at PYB. The Equity Committee/Steering Group established. A new access regime was agreed in Cheddar Gorge. New publications included the Alpine Essentials DVD and Young People booklet. Dr Charles Clarke started his BMC Presidency (2006-08) bringing high altitude medicine to the helm of the BMC. The BMC created the new role of Press & PR Officer (3 days). The BMC strengthened its links with parliament, not least by joining the Sport England Parliamentary Sport Fellowship Scheme which paired up sporting bodies with MPs to build better understanding of sport within Parliament and vice-versa. The BMC was partnered with John Mann MP and with his help, the BMC held a fringe event at the Labour Party Conference in Manchester attended by the Sports Minister’ Richard Caborn. 2007 saw the launch of a new BMC website. Government grants for international expeditions started to be phased out as UK Sport funding channelled only to Olympic sports. The BMC crag code was established, consisting of 10 important reminders to encourage the sustainable use of crags. The BMC Better Bolts Campaign was launched to support successful applications from local bolt funds for like-for-like replacements of old bolts. A highlight of 2008 was the reception in celebration of British Mountaineering at No 10 Downing Street. Over 100 veritably dressed BMC attended the event at the invitation of the Prime Minister, Gordon Brown. The BMC’s grant application to Sport England proved successful in gaining funding, with £1.27m announced for 2009-2012 (97% of what was applied for). Also in 2008, the BMC established a Clubs’ Working Group to consider ways of improving the BMC’s support for clubs. BMC purchased Wilton One Quarry in Lancashire as there was danger of losing access to it. 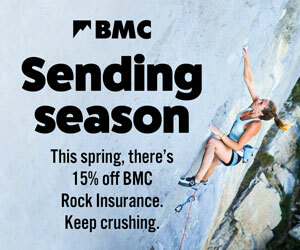 The BMC took a new approach to its promotion with an environment-themed advertising campaign based on the strap line – Climb It, Walk It, Protect It. Improvements for members included the introduction of an online module for travel insurance, allowing members to apply for travel Insurance via the BMC website. The BMC AGM was held successfully in conjunction with the Northumbria Mountaineering Club, adopting a new “festival” format which the BMC aimed to continue every other year. In 2009, the new role of Access & Conservation Officer (Wales) was created, taking the BMC’s Access Team to three and establishing a Welsh speaking members of staff based in Capel Curig, North Wales. The BMC’s long-running campaign for improved coastal access peaked with Royal Assent given to the Marine & Coastal Access Bill in which the BMC’s views were well represented. After many years of negotiation, the BMC took ownership of Harrison Rocks, Southern Sandstone crag near Tunbridge Wells. The BMC also bought Craig-y-Longridge in Lancashire with the help of donations from climbers. BMC National Council looked at how the BMC’s work for hill walkers could be developed, with a Hill walking lecture series taking place in 2009 and other initiatives set in motion. The BMC initiated its own Grant Award Scheme for international expedition in the Greater Ranges, following the phasing out of government support for expeditions. New publications included Mynydda the Welsh hill walking handbook by Steve Long and a re-edited version of the Roaches guidebook. The BMC Competitions Committee launched Psyched – a regular climbing competitions newsletter. Developed new community site for BMC website. Rab Carrington, of Rab, took on presidency of the BMC. In 2010, the BMC Clubs Committee was formed to give clubs a formal voice within the BMC and to facilitate new initiatives to support clubs. For the first time, the BMC held its own conference entitled Understanding the Uplands: Shaping the Future for recreation and conservation, attended by 80 delegates. A large-scale survey of BMC members was conducted for the first time in 10 years. The Climbing Wall Leader Award was launched and the BMC achieved child protection intermediate standard. Publications included a new improved version of Safety on Mountains and the much anticipated Froggatt to Black Rocks guidebook. At year end, the BMC’s membership reached the milestone of 75,000. It became necessary to change the BMC’s Travel Insurance underwriter and after a lot of hard work the new scheme went live in January 2011. In 2011, the BMC initiated the formation of an All Party Parliamentary Group on Mountaineering, to facilitate discussion in parliament of issues affecting mountaineering and the BMC. Continuing its equity work, the BMC held an Equity Symposium at Plas y brenin, the first of its kind, at Plas y Brenin. Sport climbing was announced as one of 8 possible new sport contenders to be included in the Olympic Games 2020. The BMC continued to support the IFSC in their bid to get into climbing the Olympics. In 2012, the BMC got more involved in social media, increasing its Facebook members to 26,000 and Twitter followers to 10,000. The year ended with a record high for BMC membership of over 75,000 members. Scott Titt became BMC President. In 2013, the BMC stepped up the campaign to support the IFSC in its bid to get climbing into the Olympics but on 29 May heard the bid was unsuccessful. The same day marked the 60th anniversary of the first ascent of Everest. The BMC extended its regional reach with two more regional development officers. The BMC also appointed its first ever dedicated hill walking development officer. See what else is new for 2013. In 2014, the BMC celebrated its 70th anniversary, with festival events in Cornwall, Bristol, North and South Wales, the Peak District, Lancashire and Northumberland. An ‘Open Wales’ campaign encouraged the Welsh government to improve access to the countryside; a BMC Access Manifesto was also published. Formal position statements on drilled equipment and dry tooling were adopted. The BMC successfully hosted the UIAA Safety Commission meeting in Bristol, the first time the commission had met in the UK since 1996. The Climbing Works in Sheffield was designated a National Performance Centre. A new online membership data management system for BMC affiliated clubs was introduced. BMC Patron Ian McNaught-Davis passed away, and Pat Littlejohn and Mick Fowler became new patrons. In 2015, the BMC supported ‘This Girl Can’, Sport England’s new campaign to encourage more women and girls to get active regularly. A position statement on the use of pegs in British climbing was adopted, and a BMC Landscape Charter launched. The BMC’s Access & Conservation Trust helped to fund a new website aiming to reduce the negative impact of the national Three Peaks Challenge. A comprehensive response was made to a Welsh government consultation on accessing the outdoors for responsible recreation. Rehan Siddiqui was elected as president. Angela Soper and Gwen Moffat were awarded honorary membership of the BMC. A fundraising auction raised over £24k for the people of Nepal, following the devastating earthquake which struck the country in April. Aidan Roberts becomes Britain’s first European junior champion. A new travel insurance scheme with new and enhanced benefits was introduced. 2016 was dominated by the decision to rebrand the BMC as Climb Britain. Following a negative response by many members to this announcement in July, and further consultation with members, it was decided not to proceed with the rebranding. Mend Our Mountains, the BMC’s first crowdfunding campaign, raised over £100k to carry out footpath repairs in eight national parks, and won Campaign of the Year in Trail magazine’s annual awards. In conjunction with the Pinnacle Club, the BMC hosted a women’s international climbing meet. Shauna Coxsey became a bouldering world cup champion and was awarded an MBE. BMC Patron Lord Roger Chorley passed away, as did honorary member Ken Wilson, one of the most influential voices in British climbing, whose life was celebrated in ‘Hard Rock’, a BMC TV film. The BMC Gallery of Mountaineering was launched, to act as a digital archive of images of Britain’s mountaineering history. In 2017, the BMC purchased Crookrise Crag, a nationally-important grit crag in Yorkshire, to protect future access for climbers and walkers. A live winter conditions monitoring system was installed on Great End in the Lake District, following installation of a similar system in Cwm Idwal in 2013. The BMC gave financial support to the Mountain Heritage Trust to enable it to move to larger premises at Blencathra Field Studies Centre. A Motion of No Confidence in the BMC Executive Committee was defeated at the BMC AGM, but precipitated the resignation of BMC President Rehan Siddiqui; Nick Kurth was appointed as acting president. Rab Carrington became a patron. National Council agreed to establish an independently chaired review of the BMC’s governance and organisational structure. Interesting history, and generally reasonably factual. However I disappointed to note the very slim reference to what was a very wide reaching and in-depth Future Policy Review chaired by Mr Bob Moulton in 2005-2006, that being the catalyst for a number of the changes later mentioned, including 1 member 1 vote, improvements in the website, significant strengthening in the process for production of guidebooks, amongst other matters.